Thank you for taking a moment of your time during your busy day to hear my situation and help me. My name is Ronald. I am a total and permanent disabled U.S. Army veteran. I am 70 years old. I own my home and it is way under water. I owe $142,000.00 and it is only worth about $75,000.00. my home needs gutters and driveway paved and much more. I can not Work and have no other income. I am alone in this world. My only relatives that could help are gone. That was my mother and wife. I need and would thank you for any Help I can get. Says “Although these resources are all incredibly helpful… they definitely won’t provide the level of personalized support that online fundraising platforms are known for. So it’s good to also consider starting an online fundraiser as a means for financial assistance for veterans.” So that is what I have done. 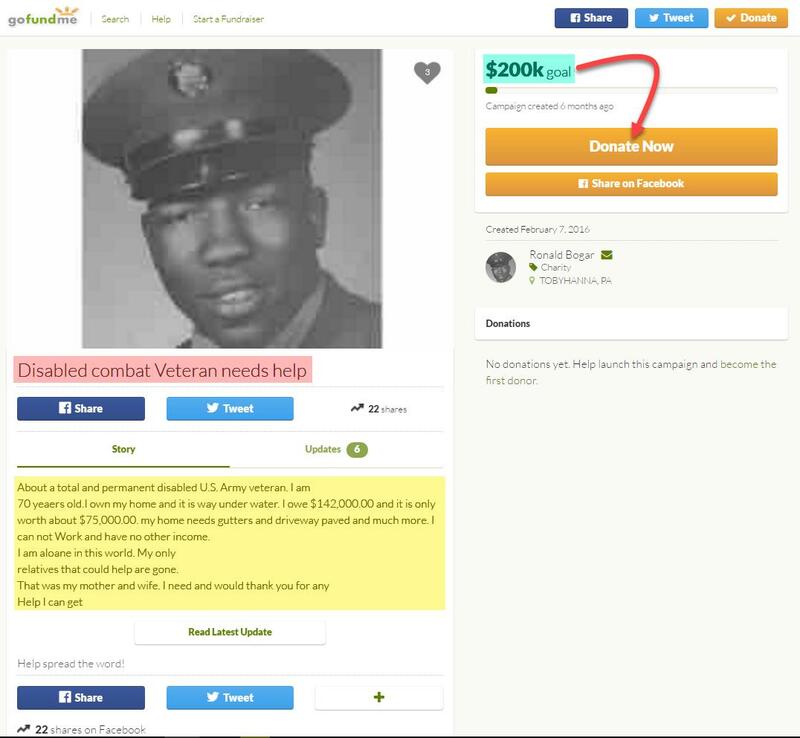 If I had Friends and family they would show their support for me through comments, “Like and Share and Tweet” which has helped other veterans raise money in their time of need. So get a team together and start with just a dollar for me today! I have fought for our country; all it takes is one click for you to start fighting for me! This article was posted in Causes and tagged Disabled, Help, VA Administration, Veteran. « Save My Home Stop Foreclosure and be a secret hero!